I picked up this clutch bag from The Real McCoy vintage shop in Exeter recently, for £10. I've been admiring it ever since. 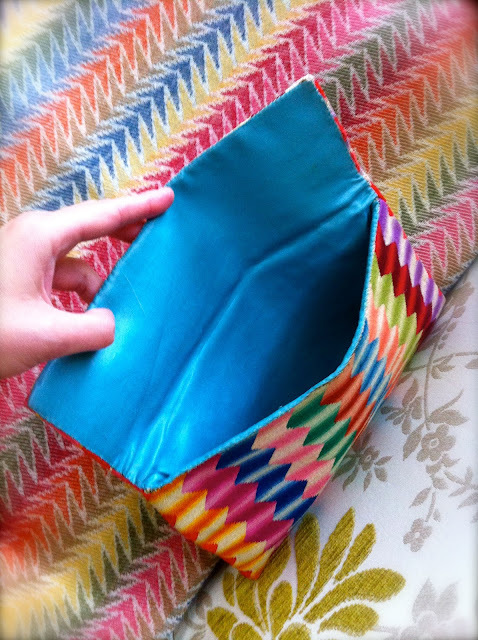 It's such a simple idea - I reckon it would only take a few minutes to make if you're handy with a sewing machine. The secret to this one I think is the fabric, which is really thick, and gives the bag some structure. The bag is slightly Missoni-esque, without the price tag. And the thing that's always bugged me about, say, a Missoni scarf, is that whilst the stripe is gorgeous, their fabric is almost always synthetic. They also do a great range in homeware though too, and if a Missoni duvet cover is your thing, keep your beady eye open at TK Maxx and Homesense, where you'll find Missoni bedding and towels if you're lucky. If the zig zag wool blanket in the background has caught your eye, I found this in a hidden away corner of the M&S sale a couple of years ago, reduced from £80 to £15. A triumphant moment. If you're looking for something similar, this one from Habitat is not far off. 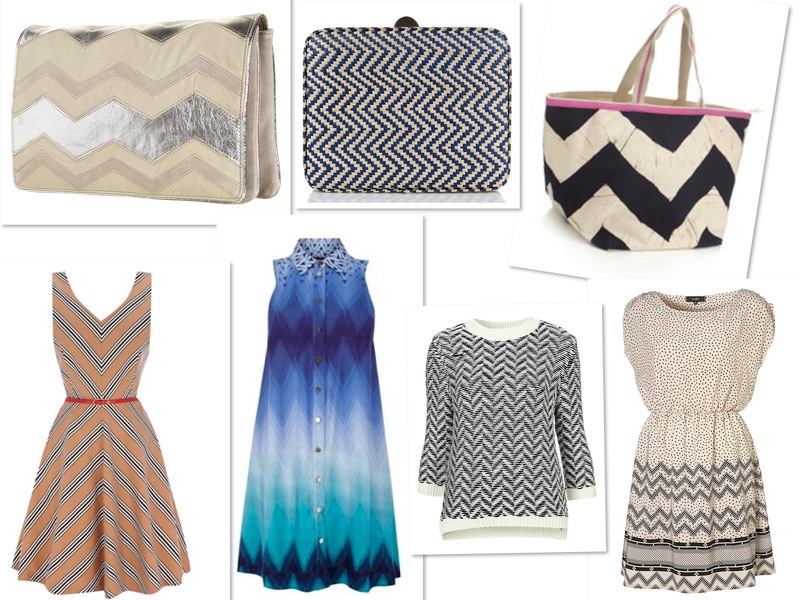 I started noticing that zig zags seem to be having a bit of a moment on the high street, and after a quick trawl, found the following items which give a nice nod to this trend. Also look out in the charity shops, because zig zigs seems to feature strongly there, especially in the silk scarf section. I love this clutch! Did the shop make it or is it actualy vintage?